After “The Move,” we found our way to a small doublewide trailer in the shallow hills of central Pennsylvania, only a few miles from where I had grown up. When we moved in, small patches of ice and snow still resided in the shadows. The forest that stretched up the hill away from the house was bone-bare and brown. The birds were just beginning to find their way through the thaw. It was the opposite of the neighborhood we had left. It was not glitzy or fashionable. We were not surrounded by cars and people. When we drove down the gravel driveway, slowing for the deeper potholes, we were not in awe of the material success of those around us. 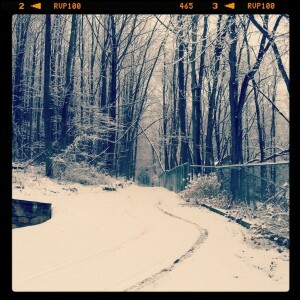 But it was beautiful. And peaceful. We found healing there on quiet afternoons as Maile made supper and the kids’ voices ricocheted back at us through the valley. Lines of geese stretched across the sky and slipped through the dusk, circling, then dropping into neighboring fields. Everyone, everything, it seemed, was returning home. The first spring there, we decided we were farmers. We planted a massive garden in the back yard, turning over the deep green grass, exposing rich, brown earth. Anything could grow in that soil. Even hope. The second spring, having conquered the gardening aspect of life, we turned to raising chickens. We bought them at a local feed store and took them home in a cardboard box with perforated holes in it. So they could breathe. We promptly settled them in large plastic container in the kitchen, and, with the help of a heat lamp and a small feeding system, managed to get them alive through spring. I don’t know exactly when it was that the chickens started laying eggs, but they did, and we enjoyed them. The kids brought back four brown eggs a day to the house, holding each like a small miracle. By the time fall arrived, they were free range chickens and we lost track of where they were laying their eggs. We searched the bushes, the woods, the underside of our doublewide. No luck. Leaves blew in sporadic gusts down the hill. We wondered if they had stopped laying because of the cold. We wondered if animals were getting to the eggs before we could. We kept looking. When we had to leave our home in Virginia, it felt like all the good things had gone missing. Our church, our friends, our future: all of it up and evaporated in the time it took to drive 200 miles north. And for a little while we stopped believing good things could last. We stopped looking for them. A quick internet search had taken us to that doublewide. My father happened to know the owner. We didn’t recognize it at the time, but being able to move into that quiet space was the first hint of goodness returning. One day my daughter Abra, three or four years old at the time, came running inside, shouting to anyone who would listen. She hopped up and down and in each of her hands she held an egg. “Where did you find those?” I asked. We followed her outside and through the yard to a woodpile the landlord had made from the branches of a fallen tree. Abra climbed back behind the wood and pointed. 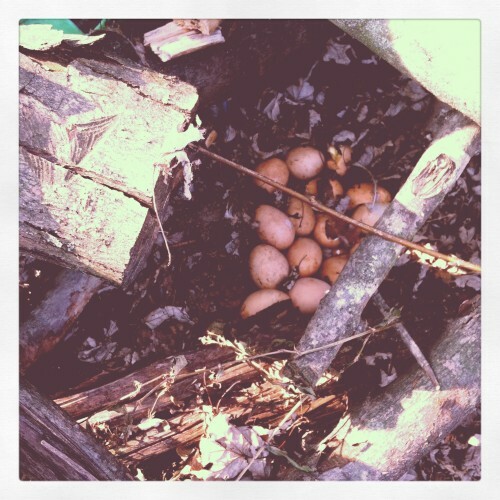 There, in a small bowl-shaped space in the depths of the woodpile, lay at least two dozen eggs. It was cold, so they hadn’t gone bad. We used a tongs to reach in and take out each little miracle, one by one. As the months passed, I found work. We settled into a routine and made new friends. We found a church to call home. The things we had lost in Virginia would not be replaced, but there were good things to be found, even in that new place. It can sometimes be hard to believe there is still good in the world. It can be so hard to find, especially after The Move or The Diagnosis or The Divorce. But it’s still there. We might not be ready to discover it right away, but the world will thaw, and the good will appear in the most unlikely of places. We only lived in the doublewide for two years. If you ask any of our children which of our many locations has been their favorite house, each one will tell you that one was it. It’s where we landed in our hurt. It’s where we healed as a family. It’s where we started to find goodness in what had at first seemed a terrible gift. This entry was posted in Finding Place and tagged acceptance, family, home, hope, moving, stress. Bookmark the permalink. I know I’ve said it before, Shawn, but this piece just captures me. I love the images of healing and hunkering down, finding your way with your family again. What a gift. Thanks, Cara. This life has been a gift. Shawn, I don’t know if this makes sense, but it’s the best way I can think to describe it: Your writing feels like children’s books for adults. The images are so full of life, the characters are so vivid, and the lessons are so gentle and true. Maybe it’s because I’m still a kid at heart? Thanks, Kristin – one of the best compliments I’ve ever received.